Join us on February 23 at 7PM for the PWSI Gala Celebration! We will be dining, dancing, and celebrating the PWSI's contributions to the community. 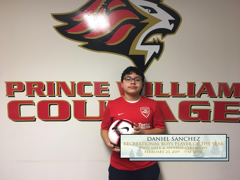 PWSI has been instrumental in providing meaningful programs such as TOPSoccer, Soccer for Success, Recreational soccer, Select soccer over the years, touching the lives of thousands of soccer players and their families . 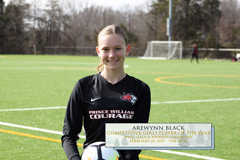 PWSI strives to provide all these important experiences through soccer, but we want to continuing growing and expanding these programs to have the highest quality of facilities and opportunities for community participation. 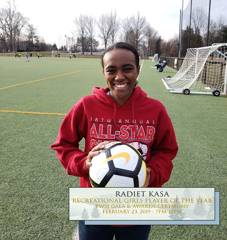 All proceeds for this event will go to supporting those programs through field improvements at Howison Park, financial assistance for our players, and directly funding free community programs like TOPSoccer. As well as your attendance at the Gala, PWSI is seeking donations from businesses and organizations in our community for the silent auction. Your donations would be a tax-deductible gift to PWSI that would truly help make the annual fundraiser a successful event. We are excited to announce that we will have our first ever PWSI Awards Ceremony at the Gala Celebration on February 23rd. Winners will be invited to join us at the event with a guest for the event. 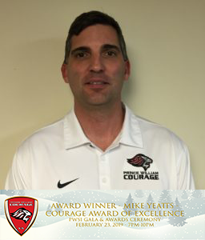 Courage Award of Excellence - MIKE YEATTS - The Courage Award of Excellence is given to someone who has gone above and beyond for PWSI. We are very excited to announce the first ever Award of Excellence Winner Mike Yeatts. 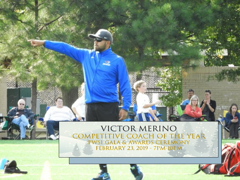 Mike is the former PWSI Executive Director, a long time coach, former board member, and an advocate for PWSI as well as youth soccer in general. Mike has been a long time champion of PWSI and we are so please to give this award to him! 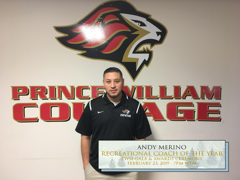 Volunteer of the Year - Nominated by coaches, administrators, and staff. Interested in Sponsoring the 2019 PWSI Gala? Jim Claffey was a pioneer of PWSI who was there when the club started, provided assistance to players, coaches, managed equipment, and really did it all for the club. 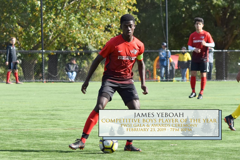 After his passing PWSI wanted to honor the memory of someone who helped build the club by offer it's players an opportunity to receive a scholarship in his name. PWSI will be awarding four $750 scholarships to any current or alumni players that will be attending college in the Fall of 2019. Please complete the information below and email the application to the Clubhouse at clubhouse@pwsi.org, no later than February 1, 2019. 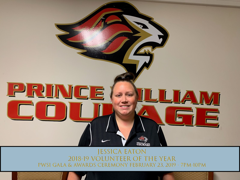 Winners will be notified no later than February 8, 2019 and presented with the award at the 2nd Annual PWSI Gala on Saturday, February 23, 2019. Tickets will be provided to the winners!